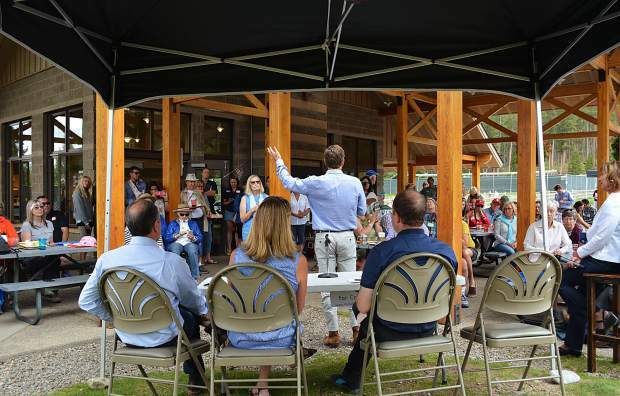 Four presumed frontrunners for governor from the Democratic Party visited Breckenridge's Carter Park on Sunday afternoon to speak with loyalists over lunch. 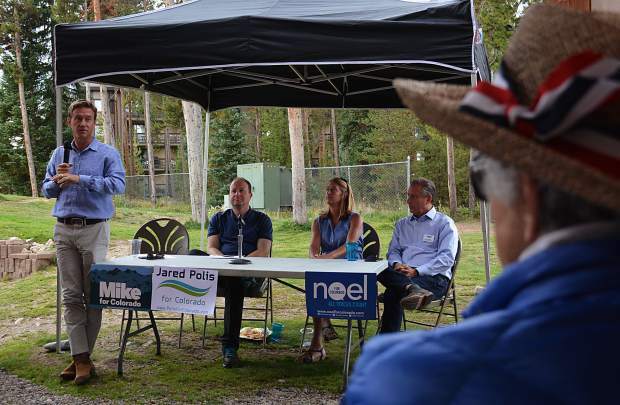 From left to right, former state Sen. Mike Johnston, U.S. Rep. Jared Polis, former State Treasurer Cary Kennedy and Denver businessman Noel Ginsburg. 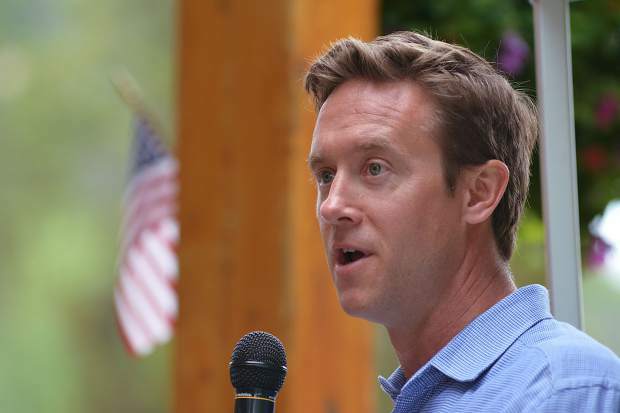 Former state Sen. Mike Johnston, 42, grew up in Vail before representing Northeast Denver's House District 33 for three terms until this past January. He is viewed by many as an authority on public education reform. Before becoming the city of Denver's chief financial officer under Mayor Michael Hancock, Cary Kennedy, 48, served four years as state treasurer. 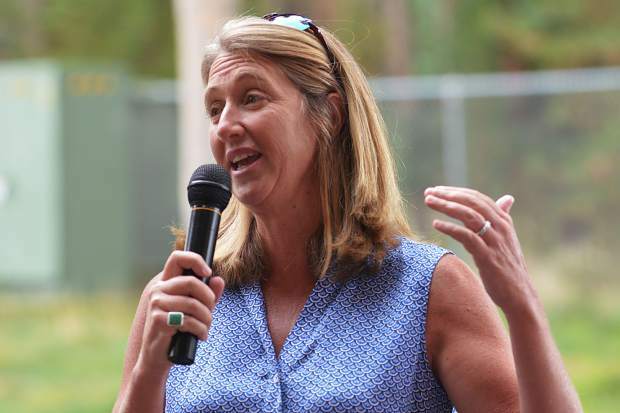 If elected to serve as Colorado's 43rd governor â and first-ever woman in the position â she plans to reinvigorate public education and statewide infrastructure. 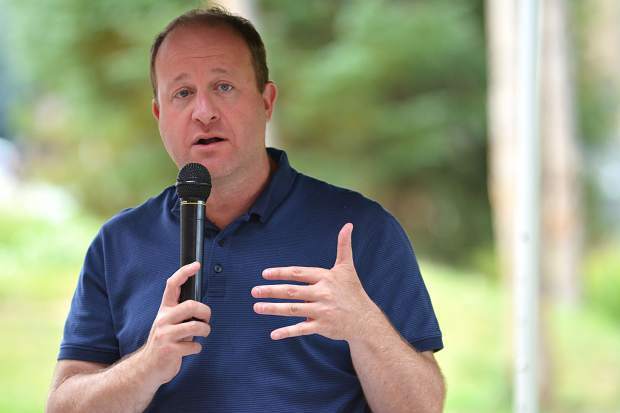 U.S. Rep. Jared Polis, 42, is one of four presumed Democratic frontrunners to become Colorado's 43rd governor. Representing Colorado's 2nd Congressional District since January 2009, the technology business entrepreneur served on the Colorado State Board of Education for six years. An enthusiastic throng of party faithful met four Democratic gubernatorial candidates in the 2018 election for a picnic at Breckenridge's Carter Park on Sunday afternoon, Aug. 20. Former state Sen. Mike Johnston speaks to the crowd as (from left to right) Denver businessman Noel Ginsburg, former State Treasurer Cary Kennedy and U.S. Rep. Jared Polis wait for their turn. BRECKENRIDGE — Four of the Democratic Party’s expected front-runners for Colorado governor in the 2018 election visited Breckenridge on Sunday to take questions as a cohort. 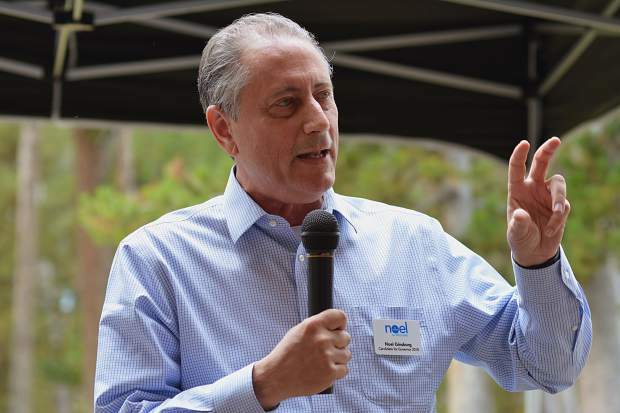 Candidates included Denver businessman Noel Ginsburg, former state Sen. Mike Johnston, former State Treasurer Cary Kennedy and current U.S. Congressman Jared Polis, who represents Colorado’s 2nd District. Each of the contenders vying to succeed term-limited Gov. John Hickenlooper addressed enthusiastic members of the partisan faithful over hamburgers and lemonade, offering opinions on several mountain-region and state issues. Among other topics, the hour-long discussion touched on the high costs of health care, decaying network of roads and bridges and how to maintain Colorado values and leadership in the face of a federal executive branch already taking aim at the public education system, existing immigration policies and legalization of recreational marijuana. All four of the candidates have backgrounds safeguarding education — an area especially in need of attention, given that Colorado presently sits on the bottom rung of many national rankings. Polis spent six years on the state’s Board of Education before heading to Washington, D.C., in 2009, while Kennedy successfully campaigned to prop up a past amendment that prevented significant cuts to school-district budgets. Conversation jumped from how to deal with resolving some of the perceived challenges immediately after the next governor is sworn in to long-range planning for the year 2050, when Colorado’s population is expected to double to more than 10 million people. Getting a handle on the steep health-insurance premiums that strain the state’s Western Slope in particular was of prime concern from the crowd. Absent from the Sunday meet-and-greet was Lt. Gov. Donna Lynne, who has still not formalized her bid for the promotion, but has filed all the necessary paperwork and had previously RSVP’d for the event. However, with party primaries not taking place until June, there’s still plenty of time for additional prospects to enter what is already a crowded field on both sides of the ticket. In the meantime, the candidates’ detailed plans for cracking the code to meet both the housing and water needs of Colorado’s swelling populace, upgrade statewide broadband connectivity and fund retrofits to Interstate 70 and other major transportation corridors will have to wait. Looking to find separation from the pack Sunday afternoon, the quartet instead mostly ended up singing the same tune of ways to confront the Taxpayer Bill of Rights to allow for more reinvestment of those dollars into costly, multi-year projects.